Premier high quality nylon universal wallplug suitable for all building materials. Serrated anti-rotation locks prevent rotation in drill holes and provide extremely high installation safety. Fischer Nylon UX Universal Plug 8mm (100 Pack) is rated 5.0 out of 5 by 7. Rated 5 out of 5 by Mr Magik from Brilliant plugs I used to use Thorsman plugs for years and they were the best I could get, but slowly they became difficult to get. So I finally had to make a switch. I read some reviews and listened to a few of my friends and it became apparent that Fischer plugs were very highly rated. So I tried them and found top my amazement that they were actually better than the Thorsman plugs. 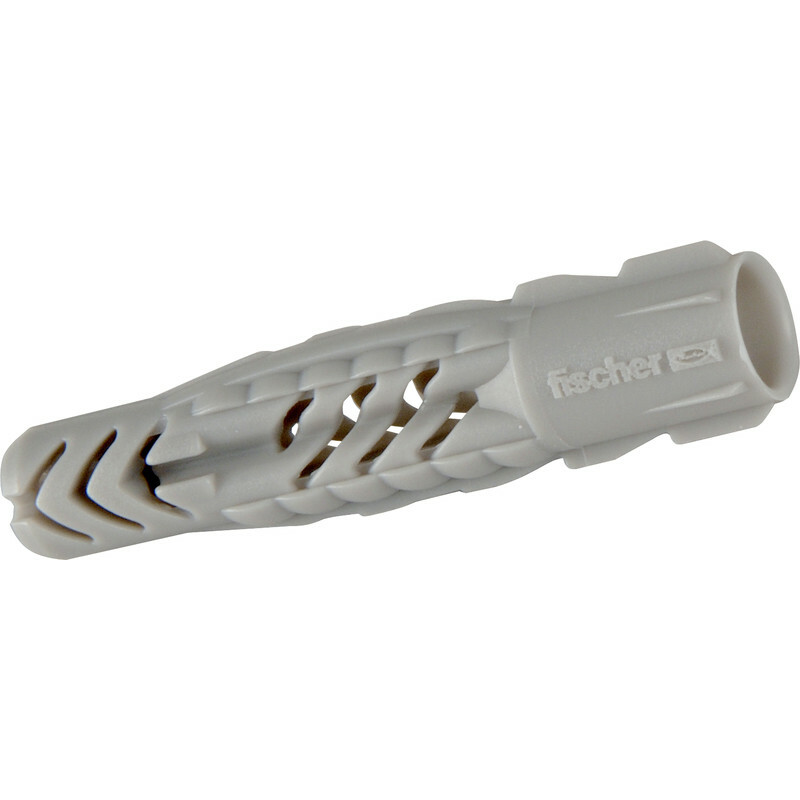 I am now using Fischer plugs and would highly recommend them as they hold in even the most difficult circumstances. Not only that but they are easy to obtain from Tool Station and cheaper than the Thorsman plugs. Rated 5 out of 5 by Anonymous from very good Purchased for use in soft block behind plaster board and they work much better than standard plugs. Gets me out of difficulty. Rated 5 out of 5 by sarrang from Good grip Due to the (weak) plaster on our 100 year old property I needed a long plug to go into the brickwork behind the plaster. These plugs went in well, no bending, quite sturdy. Rated 5 out of 5 by Manyhandsmakelightwork from Universally good They are a bit longer than conventional but not too much so. Work very well.